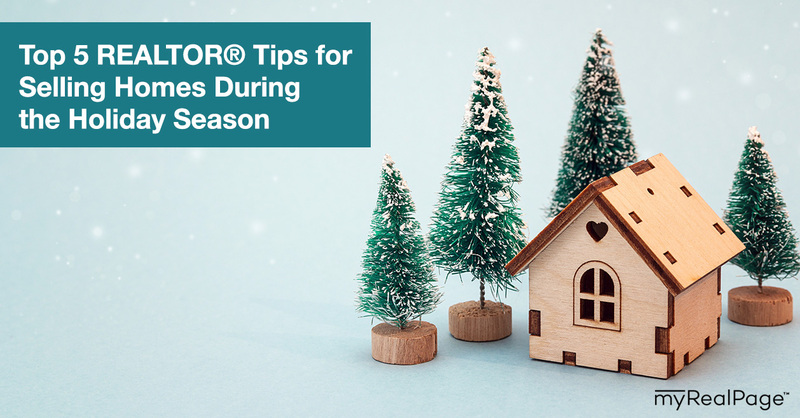 Buying a new house isn’t on many people’s holiday to-do lists, which is why REALTORS® don’t particularly love trying to get listings sold over the holiday season. 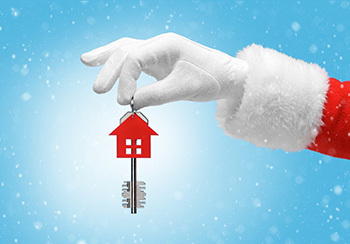 With slowed demand, selling a house during the holidays can be challenging. Wouldn’t we all just rather be drinking spiked eggnog and lounging around in flannel pajamas? Well, yeah. But there ain’t no rest for the wicked… and REALTORS®. Holidays or not, the show must go on. Put the following tips to good use and your odds of getting listings sold during this season will go way, way up. 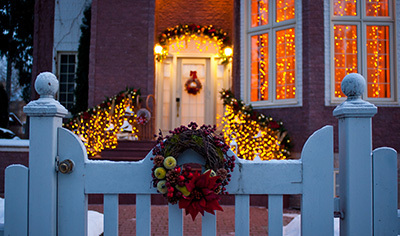 The holiday season is not the time to appease sellers who want a higher listing price. If your seller wants their home sold before the new year, you’ll need to price it to move. Is the home already on the market? Then make an eye-catching price reduction. If you’re getting ready to list the home for the first time, come in with an attractive price right out of the gate. You’ll get more interest than if you make small price reductions along the way. Most people aren’t actively looking for homes in the month of December. So instead of waiting for them to find you, you need to go to them. • A holiday-themed postcard campaign. Create a postcard campaign advertising the home and open house dates. Make it festive and go wide with your distribution. 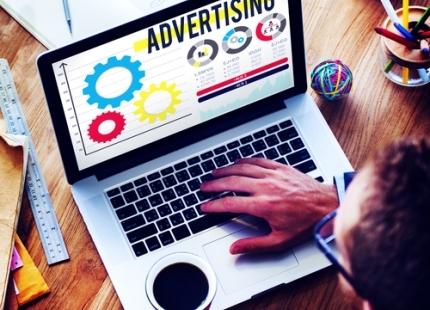 • Increase your ad spend. With more time on their hands, people might be hanging out on social media more than usual. Boost your Facebook ad and Instagram ad spend. • Take out a newspaper ad. We’re not kidding. Depending on your marketing budget (and the pressure to get a listing sold ASAP), take out a half or full-page ad in your most-read local newspaper. Make it somewhat festive, use the most impressive photos from your listing and advertise your open house dates. Offer an incentive or sell the sizzle of your holiday open house (more on both of these ideas below) to catch more eyes. Just because hanging baskets and potted plants are out of the question, doesn’t mean curb appeal isn’t important in the winter months. • Clearing snow and debris away. If it means hiring a shoveling or plowing service for a few weeks, so be it. Your listing needs to look well taken care of. Driveways, sidewalks and walkways should always be clear (and salted, when necessary). • Light it up. Add string lights to outdoor trees and along the home’s roofline. Stick with small, soft white twinkly lights for broad appeal. • Add decor. Hang a wreath from the front door and place a seasonal arrangement (such as a planter box containing birch and pine branches) on the front porch. If your seller is extremely motivated to sell their house before the calendar year ends, talk to them about offering a buyer incentive. This could include new appliances, a year of lawn-cutting or snow-shovelling services, or a large gift card to a home improvement store. Make sure the incentive is a focal point of your marketing efforts and your listing. One of the few upsides to selling a house over the holidays is that your open houses might be more widely attended. The trick is to turn them into a festive community event that people want to attend. More bodies in the house = more potential buyers. • Hire Santa and a photographer. A cozy, intimate photo opp with Santa beats lineups at the mall. Have attendees leave their name and email address to receive their photos by email later. • Bring in local vendors. Turn your open house into a mini holiday market. Set up a few tables on the main level where local vendors of your choosing can sell sweets and gifts. • Kick the freebies up a notch. 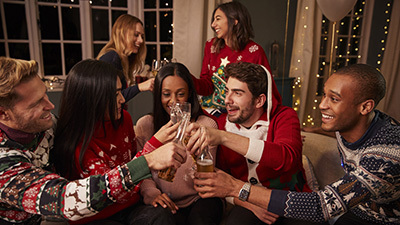 Have the gathering catered by a local restaurant or bakery, serve holiday cocktails alongside hot chocolate and cider and offer a take-home gift, like a bag of gourmet cookies or an ornament. If you plan on hosting a tricked-out open house, make sure you promote it accordingly. Get the word out via social media and printed invitations. What special tactics do you use to sell homes during the holiday season? We’ve been noticing a number of homes in Toronto being listed well below their actual market value like this home https://pierrecarapetian.com/toronto-homes-condos-under-500k/#homes for $500k over the Christmas break. Hoping to garner extra foot traffic and showings and pushing for a multiple offer scenario. This home was really valued at like $800k. An interesting strategy to say the least. We will have to see how it plays out.